Today I did a friend a favor and test drove a used 2017 Mercedes-Benz AMG C63S. Yes, I’m that good of a friend, willing to take the tough jobs. It was awesome. The car was at Porsche of Annapolis. As Ryan, Lloyd and I have discussed many times, the only practical way to find really nice diecast models in person is to go to some dealerships, particularly the high end German car dealers. 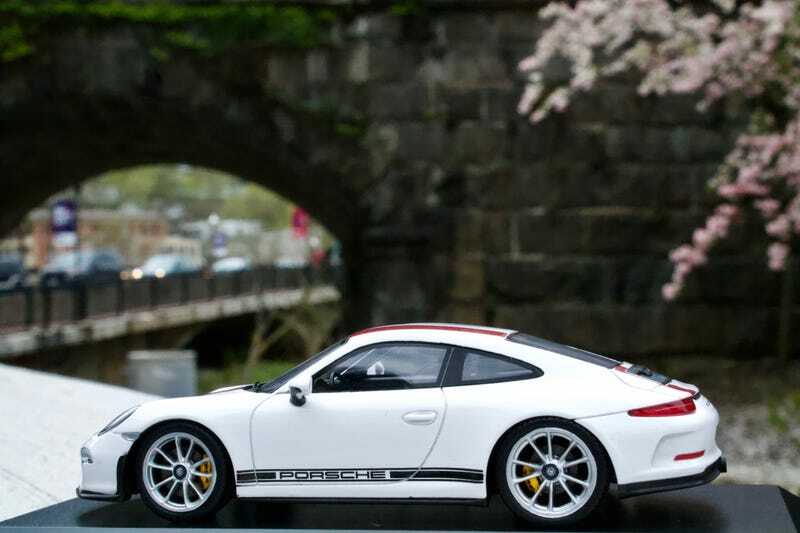 I found this fantastic, numbered (#1,772 of 1,911) Spark Porsche 911 R. It retails at $95, but I was really nice and basically helped the dealership sell a pricey AMG, so they gave me about $20 off! Not bad. Below are some pictures of the car I drove, and one of the first Porsche Carrera T cars to hit our shores. Naturally it was already sold.